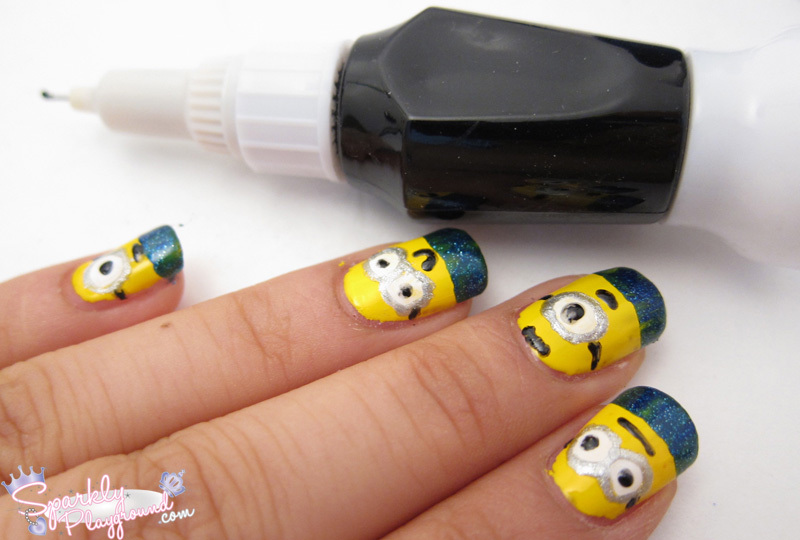 TUTORIAL: Dispicable Me Minions Nail Art! For the last couple of days, I'm off work so I got to remove my red/pink nails (work required colours) for some nail art fun!! Lately I've been really into Minions, I would say this is my obsession for the week! 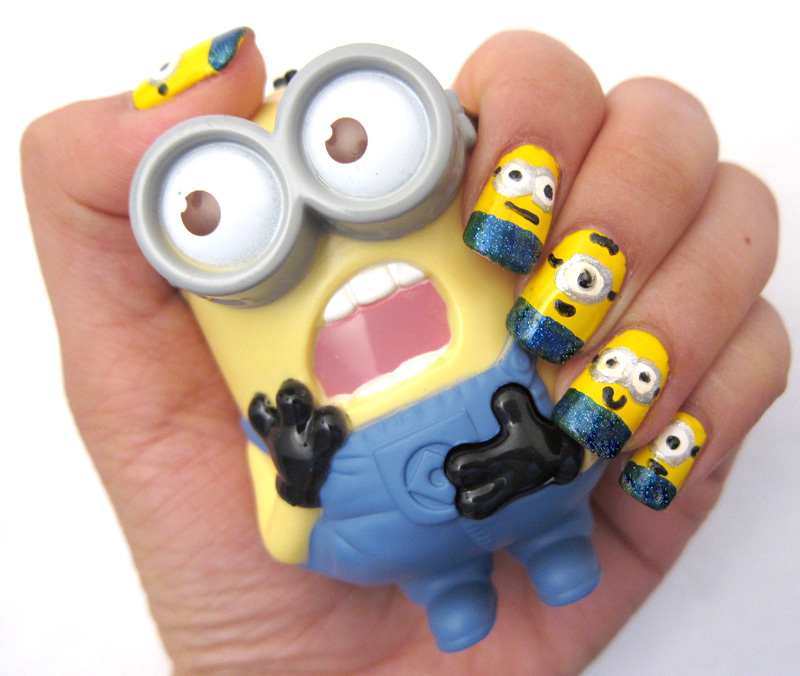 Anyway, my obsession went to my nails and I did Minion Nails!!! It only took me 30minutes altogether or less! I don't think I did the most perfect job but I mean, I knew I needed to take it off in 2 days for work..... yea got sloppy.. you get the idea! 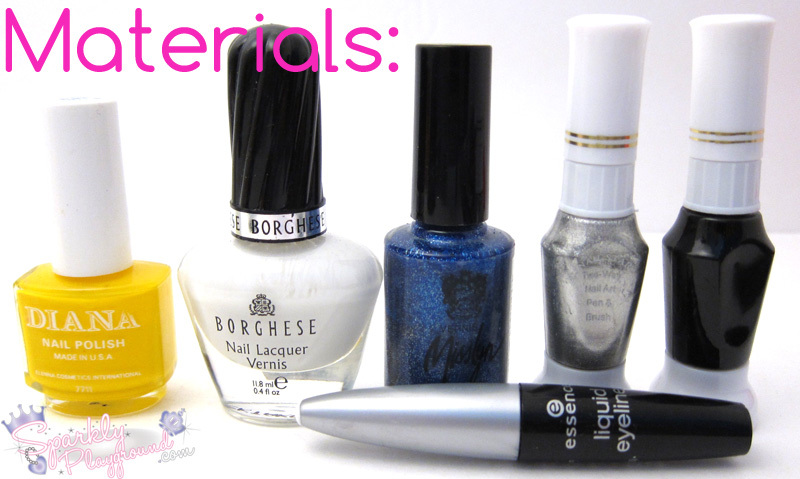 These are the materials I used for this nail art. For the small details, I used the 2-way Nail Art Pen and Brush in Silver and Black. You can easily find these from eBay. I'm an eBay nerd! The essence liquid eyeliner is only used because the lid is a perfect size for dotting, you will see below! 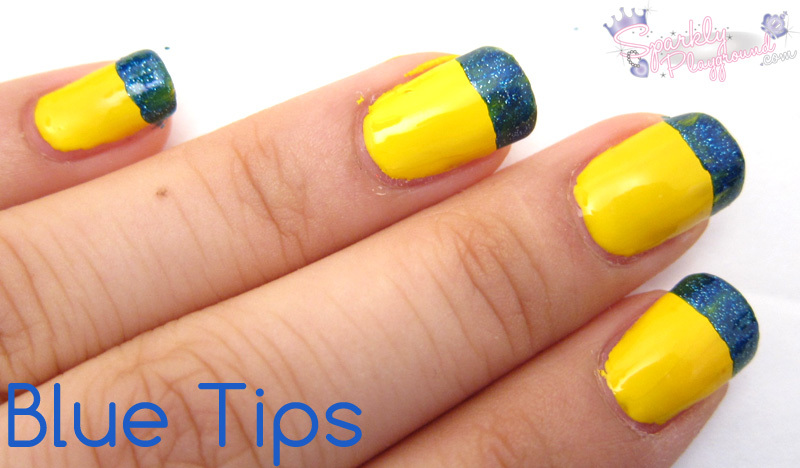 2) Colour your tips blue! I couldn't find any non shimmer/metallic blue so that will have to do. I did my tips straight from the brush, if you are a perfectionist, you can use french mani stickers or double eyelid tape (shown in this post) to make it perfect! 3) Dotting the eyes. I took the white nail polish to dump some polish onto a piece of paper. Then I used the tip of the eyeliner to dot the Minion's eyes. I normally use dotting tools to dot however, it wasn't big enough. Other items you can use can be make up brushes handles, highlighter lids, toothbrush handles etc! 4) Drawing the goggles using the 2-way Nail Art Pen and Brush in Silver. This takes a bit of practise. At first, I thought using the brush would be easier but I noticed I started making a mess because controlling the brush is actually really hard. 5) Drawing the eyes, mouth, hair using the 2-way Nail Art Pen and Brush in Black. This was the most exciting part for me! 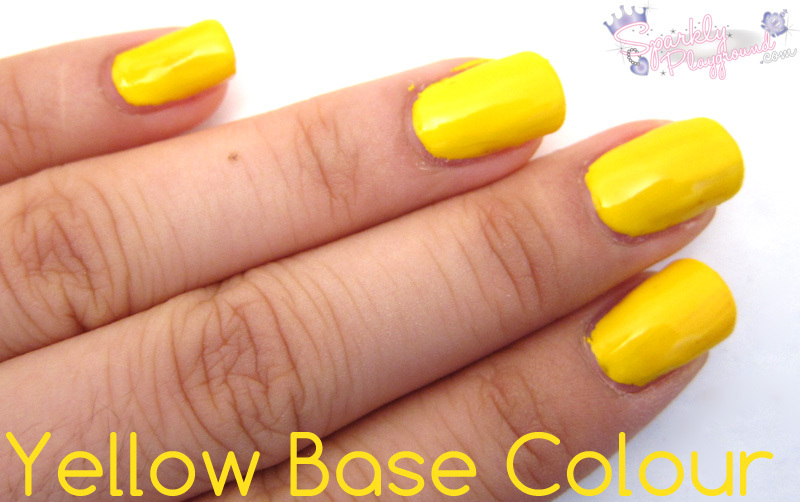 I felt like Minions CAME into LIFE! I was going to draw the mouths too with teeth and tongue and everything, but I was running late to meet up with Emily for an event! I'm sure you guys can do a better job haha! This is such a sloppy job no kidding! Thank you so much for reading, I hope you liked this tutorial!